Picture this: a postcard perfect seaside town in Slovenia, blue skies, fresh seafood and a wine festival. But not just any wine festival – in Slovene and Italian (the two most encountered languages in this part of the world) the description is rendered as “white wines with long maceration”. 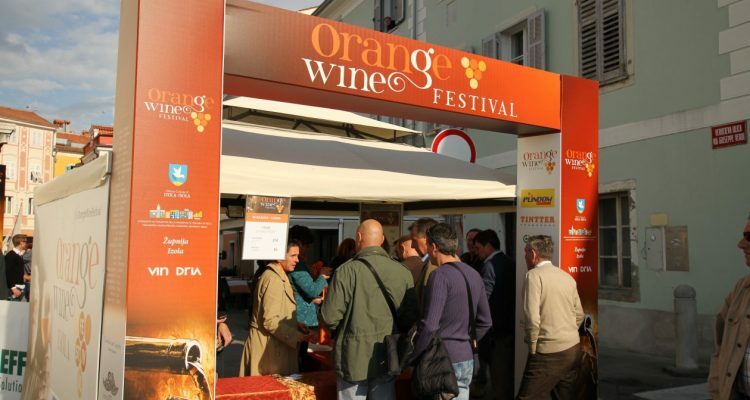 But in English, the organizers have gone for the popular vernacular “orange wine”. If you’re unfamiliar with the genre, there are some good primers on the internet, like this one, or my eulogy here. Suffice to say I’m a huge fan of this venerable style – in the 21st century wine lake of bland uniformity, “vini bianchi macerati” stand out with their bold and uncompromising character, and their embedded links with centuries of history and culture. 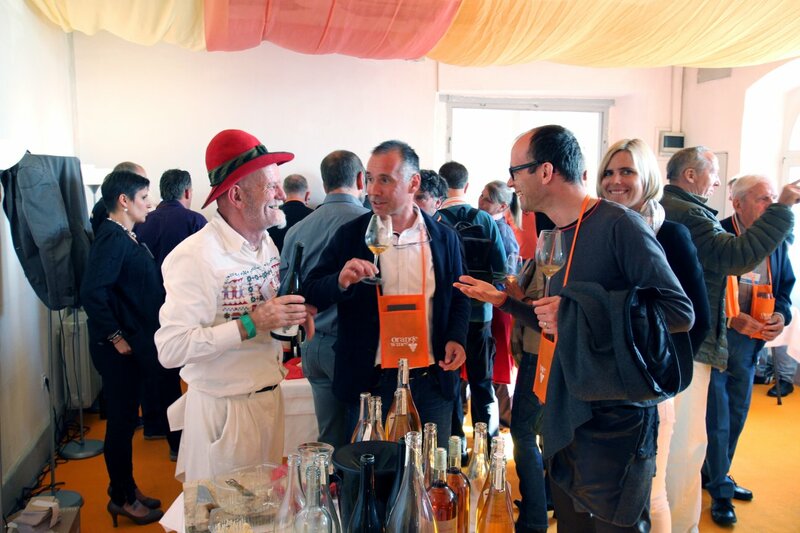 Even 10 years ago, it would have been unthinkable that a whole wine festival with more than 60 producers could be dedicated to this niche, but the resurgence of interest in the style (which never quite died out, although it did go underground for decades) is such that the Orange Wine Festival is now in its fourth edition. 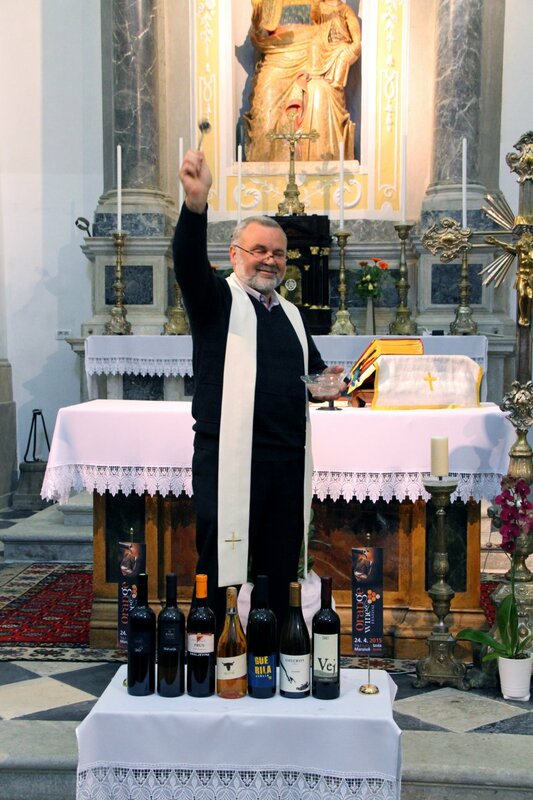 Western Slovenia (Brda, Vipava & Slovenian Istra) and north-east Italy (Friuli Collio & Carso) are western Europe’s spiritual home for this style of winemaking. Izola, on Slovenia’s small strip of coastline was chosen as a beautiful location which is reasonably central for all. The festival is located in two buildings surrounding a picturesque square and church, where the wines were blessed by a priest to open the festival. The event is the brainchild of enthusiast, wine merchant and guesthouse owner Boris Novak, together with a small team of co-organizers including a restaurateur, journalist and online marketeer. It’s part serious tasting, part social for the winemakers, and a very large part pure enjoyment for the several hundred strong crowd. For me, the festival was like being a kid in a sweetshop – many reputed producers from all around the Adriatic, but also plenty of newcomers. Wines spanned the gamut from light orange/gold with just a few days of maceration, to dark amber cuvées which had spent months on their skins. There were surprises – who knew that skin contact sparkling wines is fast becoming a sub-genre in its own right? Costadilà showed perhaps the best example with their “280 slm”, a kind of orange prosecco “col fondo”, with savory fruit and an assertive mousse. It’s also the first time I’ve come across a sparkling wine made in amphora – Tomac‘s Brut Amphora is fresh, lively and spicy, made with 6 months skin contact in the amphora, before being transferred to Slavonian oak and thence to a second fermentation in the bottle. Costadila 280 slm – an orange prosecco? On this showing, Austrian producers are remarkably assured with the skin contact style. Although several of the Schmecke das Leben group of Styrian producers were elsewhere, Roland Tauss was on hand with some quite delicious bottles. Andreas Gsellmann from further east in Burgenland also impressed with extremely pure, varietally characterized wines. 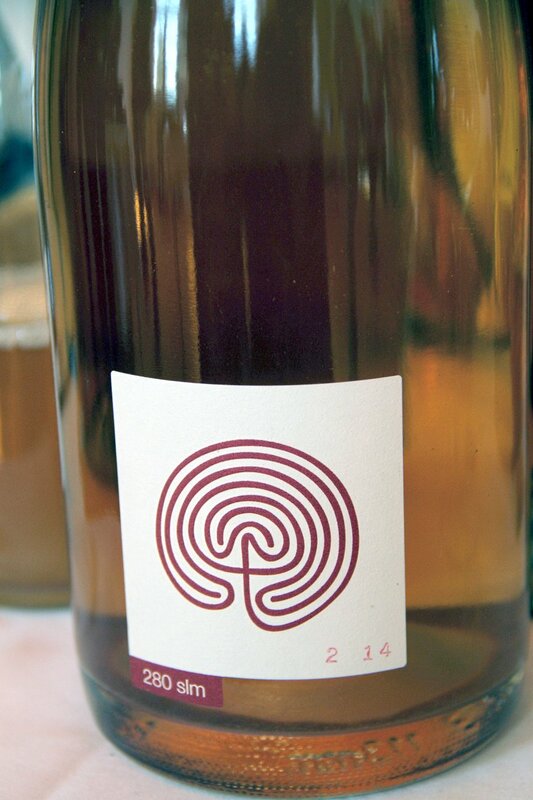 From further afield, there were some experimental bottlings from New Zealand producers, not all successful, but one very attractive blend from Pyramid Valley (details below). I wondered whether tasting over 100 orange wines in one session would be exhausting, but in fact I had far less palate fatigue than in some more conventional tastings. There were very few misses – a few totally unsulfured wines sadly ruined with telltale mousiness, but virtually nothing with an excess of volatile acidity or Brettanomyces – common complaints in the word of “natural wines”. The festival runs again, in an expanded edition, this October in Vienna. It’s recommended for anyone with an adventurous palate, plenty of stamina and strong shoulders for pushing through the enthusiastic crowds. Very informative, A must read… To complete your wine experience, check out, Le Cool Stick wine chiller.